BOARD International is a data and analytics platform that combines business intelligence, advanced business analytics, and performance management into a single solution. It provides medium to large companies in different industry segments with a system that allows them to work collaboratively with its easy-to-use drag-and-drop interface. In this article, we cover user reviews and pricing. Ready to try BOARD International? Request for a demo. 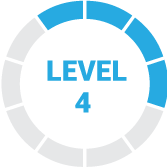 Users who gave BOARD International a positive review said that the platform is easy to use and understand. They mentioned that they appreciate how it streamlines their reporting process, helping business owners and marketers make better decisions based on readily available data. One user who gave BOARD International a positive review on G2 Crowd commented that anyone can easily familiarize himself with the platform in just one to two days. He said that the UX is great and everything is in reach, which enables him to jump from one report to another in just a few clicks. Users who gave BOARD International a negative review complained that using the platform can be a bit overwhelming given its many functionalities. They suggest that it’s best to create a roadmap when using the software in order to maximize its use. One user who gave BOARD International a negative review on G2 Crowd mentioned that he was overwhelmed since the platform has too many features and options. He said that he has to be really particular with his goal when it comes to using the software because there are so many things that a user can do with the tool. BOARD International doesn’t publish its subscription plans on its website. However, according to third-party sites, pricing starts at around $10,000 per year. It employs a customized pricing scheme depending on the kind of business intelligence requirements a user needs. Ready to try out BOARD International? Request for a demo. What business intelligence (BI) and corporate performance management (CPM) features does BOARD offer? BOARD International offers BI functionalities that include dashboarding, multi-functional analyses, ad hoc querying, and advanced business reporting. For CPM capabilities, they offer invoicing, forecasting, and other finance activities. Who are the typical users of BOARD Intelligence? BOARD Intelligence usually caters mid-size to large enterprises. However, they can also be used by individuals, startups, firms, SMEs, agencies, and corporations. Not sure if BOARD International is the right fit for you? Read our reviews of all top analytics software providers or check out one of these three BOARD International competitors. 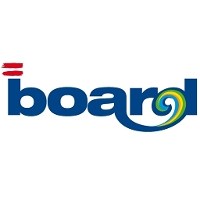 I think if you are looking for a budgeting tool for a conglomerate , you can consider BOARD. Its features are simple to use and learning curve is fast so there is no problem in delivering a solution quick.